This unique expert resource makes good evidence, tools and guidance easy to find, access and read. Whether you are a practitioner, academic or student, with an interest in applying rigorous solutions to health and wellbeing in the workplace, the Hub is for you. We have done the hard work for you - just pick your topic of interest (such as stress at work), and then explore the best, most up-to-date academic and practitioner literature, tools and guidance for individuals, for managers and for organisations - saving yourself hours of time searching for information. And it is free! This course is designed as an introduction to ACT at work. Suitable participants include consultants, trainers, coaches, psychologists, human resources, and learning and development professionals.This course is aimed at individuals looking to use acceptance and commitment theory (ACT) based interventions with either groups or individuals in the workplace. 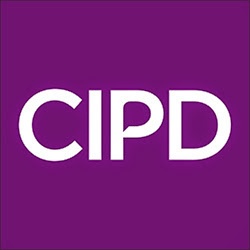 The CIPD Diversity & Inclusion Conference is an experience-sharing platform to discuss how to make a real difference at work, from improving recruitment practices to creating a truly inclusive culture in the workplace. Learn how to develop a well-being strategy in your organisation. This programme is for HR professionals who need to explore the options for creating, developing and maintaining a well-being strategy at work.